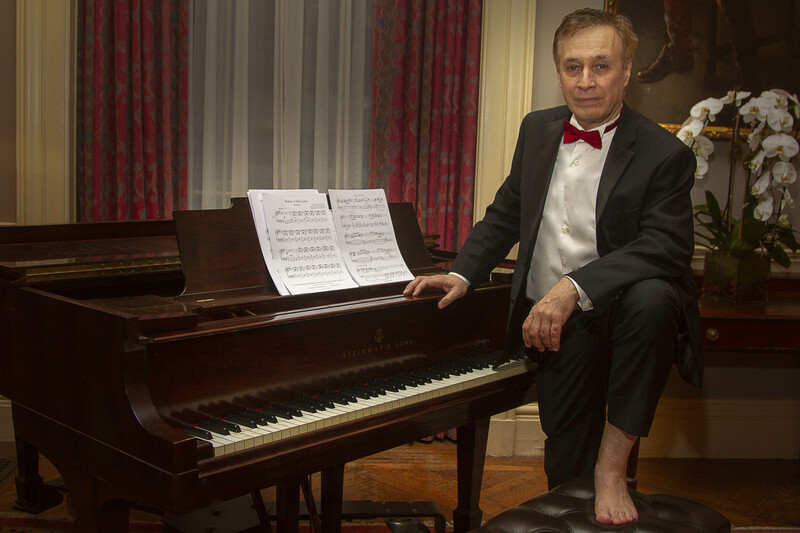 Translating the workings of natural phenomena into classical music. Translators of the Universe® is the second of our two 60-minute Breaking The Rules® segments which demonstrates our skyrocketing musical breakthrough. New to the music industry, the “Translators” segment involves the revealing of Dawson’s exciting discovery that ties music to science in a way that has yet to be explored. The finding has been given credibility by NASA scientists. From another perspective, the television movie about the great innovator Bill Gates, shows that he actually bluffs his way through a meeting with IBM executives. With the Translators of the Universe®, we have “the piece” in place. What piece? The essential “piece” of the puzzle demonstrated by Dawson, results in “a completely different way of listening” – while at the same time, bringing to light a new and exciting dimension of music. The ramifications of our finding could extend deeply into the culture of the US: People love music, and if shown how it amazingly interconnects with science, their passion for music could be segued into science! What better basis for creating a different platform of music perception in people from all walks of life? A national airing of the two Breaking The Rules® segments could bring about a noticeable and positive difference in our society. We look forward to demonstrating the workings of Translators of the Universe®​ and are actively seeking national airing from a network, PBS, HBO and Arts and Entertainment. The New York Foundation for the Arts, acts as our 501C3, and as such, any donations to Breaking The Rules®​ through NYFA or directly to me would be most welcome. We would disclose the finding to an interested sponsor in a private meeting. 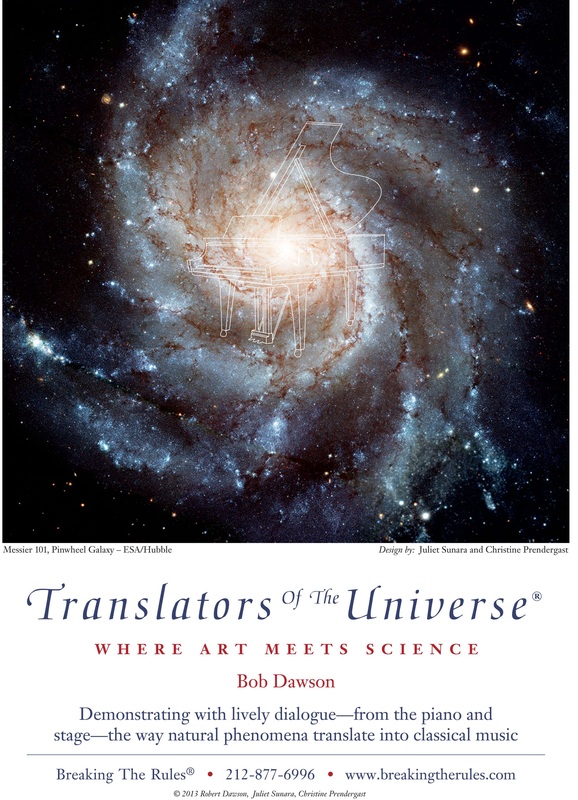 “Translators of The Universe®​,” is “where art truly meets the sciences”! Our music discovery can change the face of Classical music–in fact–as we say, “no more faces at Classical concerts.” The listener is happily engaged with “hearing” — a new dimension with which to enjoy music. Our discovery can be applied to all music genres. The BTR core team​ ​is happy to report that the “Translators” is standing by for potential sponsorship–pending interest from a TV network. The US is a nation of passionate music lovers–we have developed a way to listen that is also new to the music industry. Music may never be heard in the same way again. The book “The Mozart Effect” launched in the 90’s did well. The book revenues and its spinoffs exceeded one billion dollars. Yet some institutions (including Stanford University) suggested the validity of the “The Mozart Effect” was controversial. Conversely, NASA scientists have given my method credibility. Our book with its thrilling content, demonstrates the empirical evidence of the intriguing music and science connection. Translators of the Universe®​​ ​can effect a positive change in the entire music landscape of our country. You could become known as the Steven Spielberg of music! Thank you for your time. Back to the relentless piano for me.